If you are looking for a more natural approach to treating your acne, there are several vitamins and minerals that are known to fight acne or even be the cause of acne when found to be deficient in the body. This vitamin has been used both internally and externally to increase the turnover of dead skin cells and to significantly lower the production of sebum, sometimes stopping it entirely. 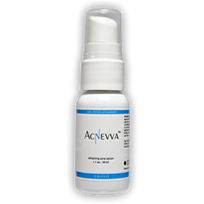 It can help to strengthen the protective tissue of the skin, making the skin better able to fight the occurrence of acne. It is also known to be a strong antioxidant, ridding the body of the free radicals and harmful toxins that cause some cases of acne. It is usually taken in combination with carotenoids, which can strengthen its effect against acne. Second, Vitamin E has been used as a powerful antioxidant in fighting bacteria and the buildup of toxins and free radicals. It can lead to the cessation of acne in some individuals and it can also promote tissue repair and the healing of skin cells. This vitamin can also increase the oxidation of lipids and decrease the formation of free radicals. As you can see, both Vitamin A and Vitamin E can work as antioxidants, kill off bacteria and free radicals, strengthen the skin to a healthier and happier state, and prevent future breakouts. Vitamin A has attributes entirely of its own, as does Vitamin E, and in combination with each other, these can promote a stronger acne fighting effect than they would by themselves. But there is a third vitamin that can be effectively combined with these 2. It is known as zinc and it is actually one of the most important vitamins used to attack and fight acne. It has many different uses and it can cause acne breakouts when your body is deficient. Therefore, adequate amounts of zinc can promote healthy skin and combat current acne problems as well as future problems. Zinc also works as an antioxidant, helping to fight free radicals and toxins, and it also is very proactive in helping to prevent future breakouts. Zinc can regulate the oil glands by slowing the production of sebum. Finally, this vitamin can promote healing in the tissue and therefore prevent scarring. 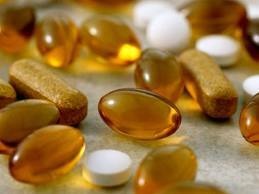 When used alone, all these vitamins and minerals can lead to the cessation of acne. However, when used together, they only compliment the effects of each other, leading to a greater fight against acne by approaching it from 3 different angles instead of addressing just one possible problem. All of these vitamins can be found as supplements at your local health store or pharmacy. You can also get them more naturally by increasing vitamin rich foods in your diet.Vitamin A can be found in carrots, broccoli, spinach etc.Vitamin E can be found in oils, buts, beets, tomatoes etc.Zinc can be found in beans, almonds, whole grains, liver etc. Increasing these vitamins in your diet whether through a supplement or through vitamin-rich foods, you’ll see an improvement in your overall complexion and a definite reduction in your acne. 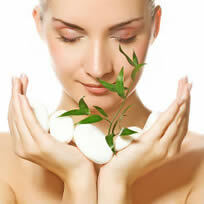 Comments on "Vitamins for Acne Treatment"
Leave a Comment about Vitamins for Acne Treatment here. Very good blog. thank you so much for your time in writing the posts. Very good site. thank you so much for your time in writing the posts. i’ve been using a very natural line cllaed Burt’s Bees. i’ve been using it. and my skin definitely breaks out, mostly on my t-zone and it definitely does work. really if you want to clear your face you have to start from the bottom up. beginning with oil and dead skin and detoxifying etc.. but you must be patient. some acne systems must break you out first in order to get everything out of your pores. just be patient! Can this be used on cystic acne/adult acne? on the other prdcout i got the hair removal and will start soon does it work good on the back and head hair growth? thanks. Thinking about getting the acne no no but waiting to see how the hair removal nono works? first. Increasing your vitamin intake can definitely help cystic/adult acne. 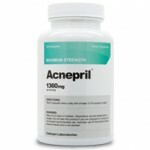 We recommend Acnepril as the most complete supplement for severe acne.